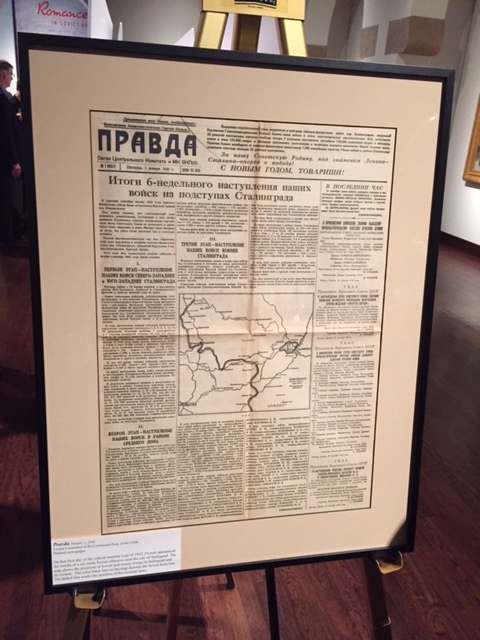 The Museum of Russian Art in Minneapolis commemorated the 70th anniversary of the end of “The Great Patriotic War” and the triumph of the USSR (and the legacy state of the Russian Federation), the United States, and the Allies in the defeat of Nazi Germany. On the evening of May 9 – the precise day of celebrations in the Russian Federation – the museum hosted a reception with a viewing of an exhibit about the Battle of Stalingrad – the great turning point of the Second World War on the eastern front. 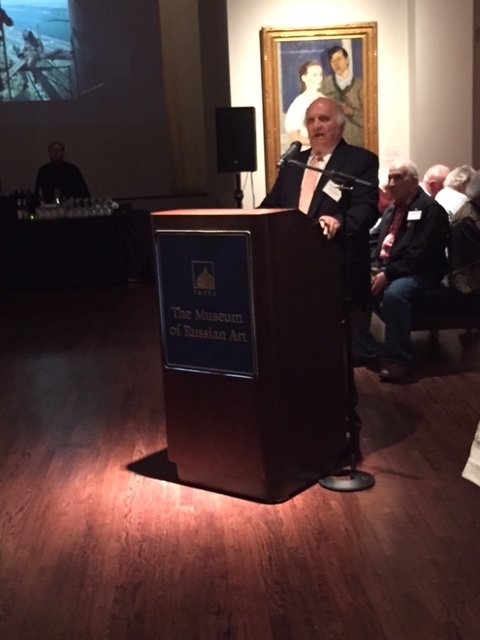 The director of the museum, Vladimir Von Tsurikov, and its staff and supporters, organized a poignant and educational program with the backdrop of the beautiful museum and its collection of Russian art and artifacts. Supporters of the commemoration included the Russian Cultural Centre in Washington, D.C., the Jewish Community Relations Council of Minnesota and the Dakotas, with additional support from the Minnesota State Arts Board and Wells Fargo Foundation Minnesota. 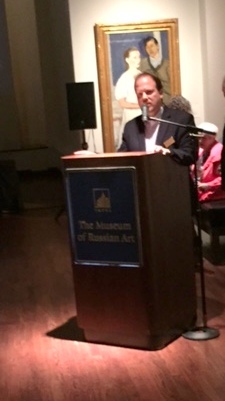 The program participants included welcoming remarks from Vladimir Von Tsurikov. Professor Theofanis Stavrou, professor of Russian History at the University of Minnesota, spoke about the strategic mistake of Hitler in ordering a full-fledged attack against Stalingrad to the detriment of the Leningrad and Moscow fronts. He also noted – as with all societies – the younger generations confronting the iconic events of their elders – in the Russian case, “the children of Zhivago,” and their impressions of the USSR’s existential struggle with Nazi Germany. Greetings were delivered by General Yushmanov of the Russian Consulate General in Seattle, Washington, whose territory includes Minnesota. I quoted the great Red Army journalist Vasily Grossman in my remarks: “I have seen that it is not man who is impotent in the struggle against evil, but the power of evil that is impotent in the struggle against man.” The Allied armed forces destroyed Nazi Germany, liberated Europe and ended the Holocaust. 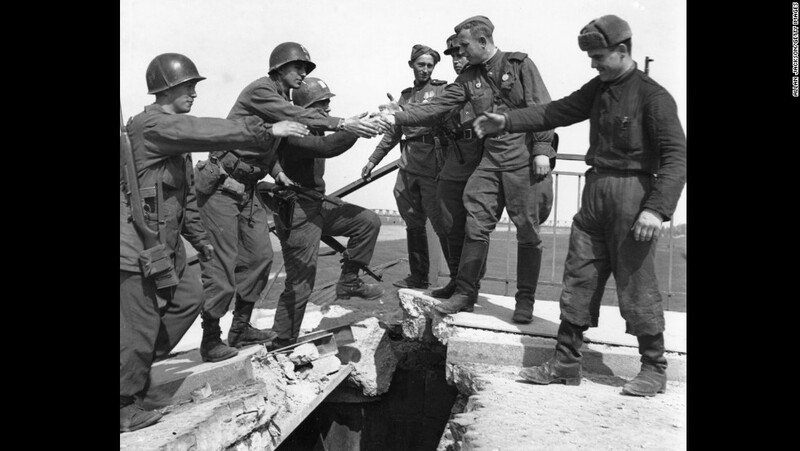 In the words of Franklin Roosevelt, the United States was the “arsenal of democracy.” Soviet armed forces provided military personnel in staggering numbers for the massive battles – including Stalingrad – fought on Soviet territory from 1941-1944 and then for the invasion of Germany in 1945. An estimated 8.7 million Soviet soldiers were killed in battle in the Second World War according to the Russian Ministry of Defense – 480,000, alone, at the Battle of Stalingrad. The sacrifices of the Russian and non-Russian people of the Soviet Union are almost unfathomable. The spirit of Torgau was present for the commemoration at The Museum of Russian Art. 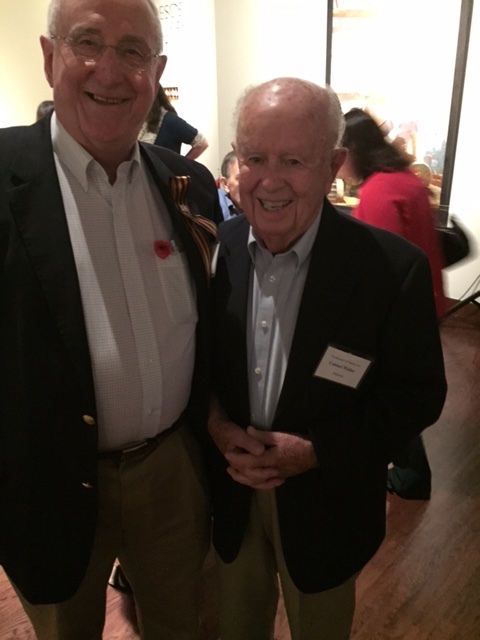 Great thanks to Don Patton of the Twin Cites World War II History Roundtable for making sure Minnesota World War II veterans were present at the commemoration. 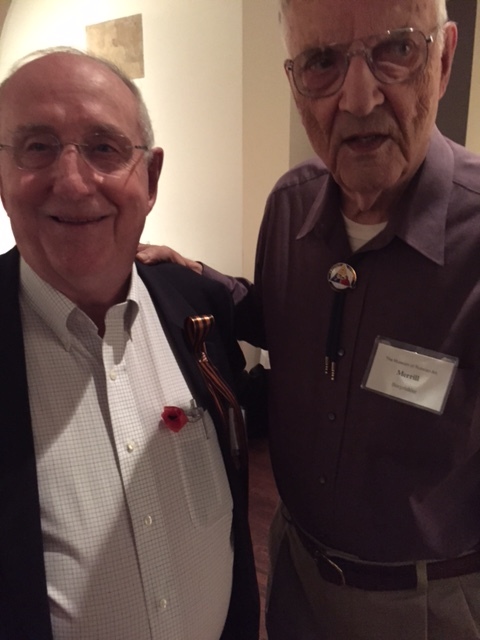 Merrill Burgsthaler was part of the mobile anti-aircraft defense for the Sixth Armored Division and witnessed the carnage of Buchenwald two days after its liberation. Walter Halloran was a combat journalist who photographed the D-Day invasion; the Malmedy Massacre; the capture of the Ludendorff Bridge at Remagen; and the liberation of Dachau.